There Comes a Prophet, the first novel in this new stage of life, was published in July 2012. His second, Along the Watchtower, will be available in June 2013. Two major life changing events had taken place in Helena Brewster's life in the recent past; her father had passed away and she had seen Jason again after four years. However, neither of these compared to the effects of the sudden appearance of an angelic 9-year-old girl from the Forbidden Sea. When Helena and Jason rescued Kailani from the ocean, they did not anticipate her extraordinary nature and the effect it would have on them and everyone else around her. Kailani's nature was a mixture of the innocence of a 9-year-old and the wisdom of a mythmaker beyond her years. As Helena and Jason got to know her better, their lives changed in ways they had never imagined before. They promised to protect this child from the Blessed Lands from the ruthless laws of the Republic. However, no one really knew what this daughter of the sea and the sky was; was she just another zealot here to cause trouble in the land of the soulless? A prophet as some had come to believe? Or just a troubled innocent child? 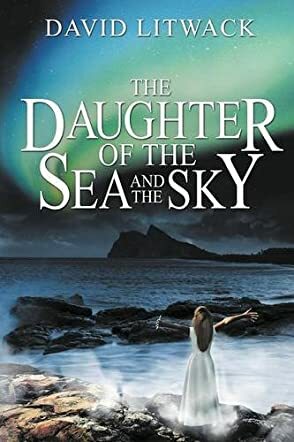 The Daughter Of The Sea And The Sky by David Litwack is an intriguing tale of faith versus reason as each of the two lands separated by a horrible war fought to stay true to what they believed. David Litwack's writing style draws a very vivid picture of the setting of the story and the different characters that form part of this extraordinary tale. His description of Kailani's innocent and yet dazzling beauty and her personality gives you a real image of the little girl whose strange character and innocent wisdom touched so many lives. The story keeps you on the edge from one page to the next as you wait to discover the reason behind her sudden appearance in the land of the soulless and, in the end, the truth is very awe-inspiring and most deserving.